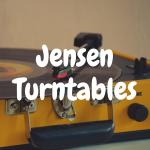 In this article, we’re going to examine the Jensen JTA 230 turntable, which interestingly enough was Amazon’s best seller in 2015. Is it worth your money, or is its success moreso based on hype? Well, let’s take a deep dive into this record player with our in-depth review. You can get your hands on a JTA-230 for about $50. 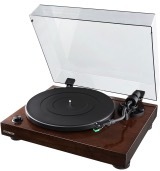 At that price, you shouldn’t be expecting too much out of a record player. But I’ve found that expectations are often irrelevant in the turntable world and even the cheapest decks have some charming qualities. 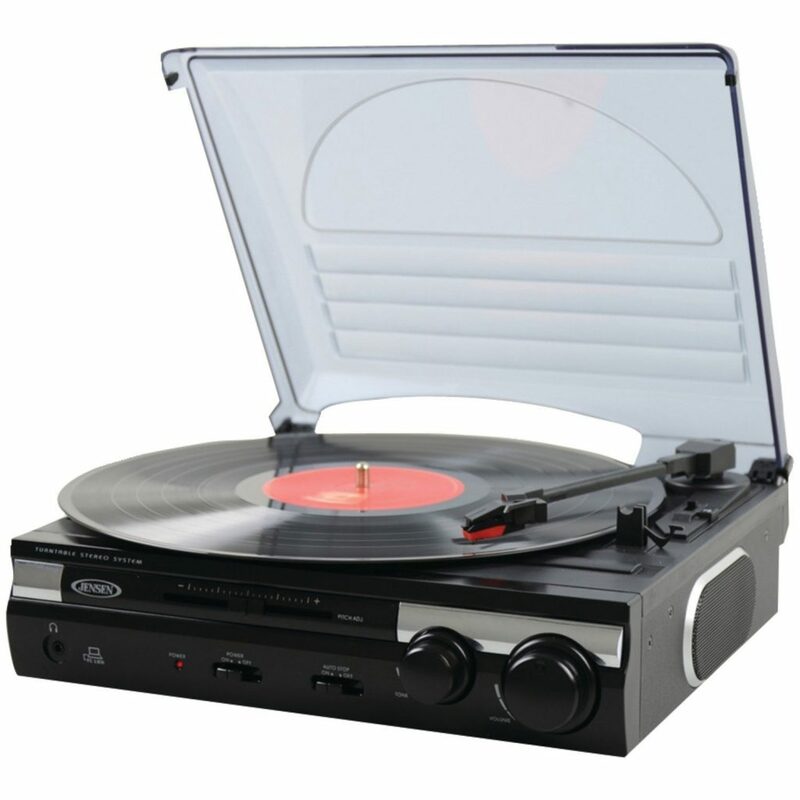 Cartridge & Stylus – Any deck (the term “deck” is another term for “turntable” or “record player”) you’re looking at under $100 is likely to come fitted with a ceramic cartridge, and the JTA-230 is no different. 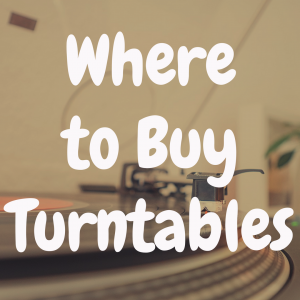 That’s because ceramic cartridges are heavy, relatively cheap and pretty tough.Ceramic works well for low-end turntables as most cheaper record players are made of lightweight plastics—which means those turntables are less sturdy and very sensitive to vibration. The weight of ceramic cartridges helps to keep the needle on the groove, but they’re also less sensitive to outside noise. Less sensitive means less external interference in playback, and that’s important considering that this deck comes with built-in speakers. The JTA-230 comes with a standard, 0.7 mm diamond-tip stylus, which is great for playing records at 33 1/3 RPM and 45 RPM. Oddly, the JTA-230 also spins at78 RPM. That speed requires a wider 3 mm stylus for proper playback. 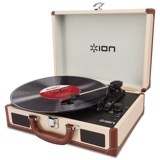 A 78 RPM stylus is not included in the box. To make matters worse, changing the stylus in and out for 78s is a terribly frustrating task. Tonearm & Platter – Plastic. Exactly what you do not want to hear when you’re talking about a tonearm. But at this price point, that’s not a big surprise.The tonearm is controlled manually, but it does feature an auto-stop feature that stops the platter from spinning when the needle crosses the final groove of a record. But the tonearm does not return to the cradle automatically. It just lays there on your disc until you return it to the cradle yourself—which makes me wonder why they even bothered with the automatic stopping feature. The least the Jensen team could’ve done is fit the tonearm with a lift lever to make dropping and lifting the needle a little easier, but you won’t find that feature either. The platter for the JTA-230 is made of—wait for it—plastic. 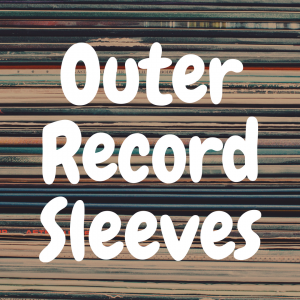 It’s also smaller than a normal deck, leaving your 12” records hanging over the edge, which is less than ideal for playback.It also makes it necessary to cut out sections of the dust cover so that you can actually close it during playback, which is a bit of a head-scratcher. Sound – You can see where this is all heading, right? Cheap components lead to one thing: poor sound quality. While the JTA-230 conveniently comes with speakers built-in, you’re not going to get much out of them in terms of loudness.That’s likely a design element to help limit distortion in playback, but it’s another one of those “why bother” features. If you can’t find a way to build speakers into your deck without disrupting playback, then you shouldn’t build them in at all.Just sayin’. At least the Jensen team was kind enough to include pitch and tone controls that give you a little bit of flexibility in fine-tuning your listening experience. They also included RCA cables just in case you want to plug into your home audio system, which only nominally increases the quality of playback. Again, if the parts are cheap, there’s only so much you can do to bolster sound quality. And the JTA-230 just doesn’t offer much wiggle room here. Design – The JTA-230 is little more than a box with hastily placed knobs and levers jotting out of it. Add a couple of random speakers to each side and you’ve got a good picture.It’s small. It’s plastic. It looks and feels cheap. But in the turntable realm, you usually get exactly what you pay for. And the Jensen JTA-230 is a poorly designed turntable that’s too small and too flimsy to be a sturdy everyday player, but too big to be a decent portable option. It’s what you get when you try to make a deck that can be everything to everyone. But hey, at least they fitted the feet with a non-migrating rubber that will prevent damage to your lovely wood display table. Not that you’d actually want to display it. 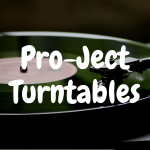 Software – The JTA-230 may have caught your attention if you’re in the market for a dedicated record player to digitize your vinyl collection. Good news here, ‘cause this is one of the few features that make this deck worth looking at.The Jensen team has built a USB port directly into their deck and even included a USB cable in the box. You won’t need any special drivers or adapters—just plug in and you’re ready to start ripping. You will need the Audacity software to make that happen, though. The good news is that you can download Audacity for FREE online. But just in case you can’t make that happen, the Jensen team includes a handy CD download of the program in the box. As previously stated, the JTA-230 is a self-contained stereo system. That means that there’s no need for an external amplifier or powered speakers. If you’re looking for a no-bs plug and play deck, you’re looking in the right place. You may also be interested to know that you can use this deck as a full on stereo system. That’s because the Jensen team built an auxiliary input jack right into the mix. While I’m not a big fan of this particular deck, I do appreciate this little bit of design. In the digital age, if you’re going to build speakers into a box, you should absolutely be able to run your iPod through it. Just know that you will not be able to play music off your turntable if your jacked into the auxiliary. And again, don’t expect much out of the speakers. The JTA-230 comes fitted with a couple of handy output jacks as well. Most notable the left and right RCA out jacks I mentioned earlier. If you do lay down the cash to take this deck home, I can almost guarantee you that you’ll want to at least try and plug it into a better audio system. Kudos to the Jensen team for providing the option. And kudos for building a 3.5mm stereo headphone jack into the mix, as headphones may be the best playback option for the JTA-230. I can imagine this deck being a popular addition to many a dorm room throughout the world, and every dorm device will sooner or later require headphones. So, how’s the JTA-230 stack up to the competition? Not particularly well. If you can believe it, Jensen makes a cheaper ($45), pared down version of this deck—the JTA-222. It’s smaller than the JTA-230, but still boasts many of the same features: 3-speeds, RCA outputs, headphone jack, and even integrated speakers. But the JTA-222’s speakers are front facing and actually produce a much purer sound than the JTA-230’s side-facing model. The JTA-222 functions as an AM/FM Stereo receiver too, so you’ll hardly notice that you lose the iPod connectivity. And it even comes in a fancy antiqued wooden case that boasts a classic look. If you are looking at a low-priced Jensen model, you may want to take a hard look at the JTA-222. Not that you should be looking at a Jensen turntable. Look, I understand that at $50 or below, the price is going to be just right for many of you. Especially since you will not need to invest in speakers. But I can’t state enough that in the turntable world, you get exactly what you pay for. And your super cheap turntable will sound awful, break easily and become a giant paperweight in no time flat. For that reason, I implore you to dig a little deeper into your wallet and take a hard look at a slightly more upscale player—something like the Audio-Technica AT-LP60. 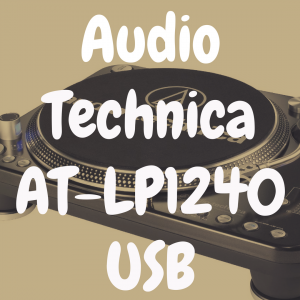 With a sleek design, high-quality construction (real automatic functionality, built-in phono preamp and an Audio-Technica cartridge), the AT-LP60 is the anti JTA-230—and it’ll only cost you about $100. Sure, you’ll lose the USB capabilities, but at least you’ll be able to hear the music. Of course, if you don’t already have a home audio system or powered speakers, the LP60 is going to cost you a little more. 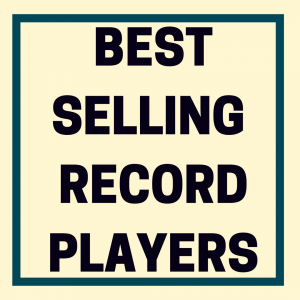 And if you’re just getting into the vinyl game, you may not be ready to make that financial commitment. But sooner or later you will be. 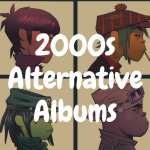 And you’ll want to remember the LP60 when that time comes. Now, if you wanna go all in and give yourself a solid audiophile grade listening experience, you’ll want to take note of the LP60’s big brother, the AT-LP120. Essentially the LP60 on steroids, the LP120 takes many of the features that seem out of place on the JT-230—like the useless pitch and tone controls—and actually integrates them into the listening experience. While the LP120 suffers a similar fate as the JT-230 in terms of looks, it’s at least built like a tank and just as tough. 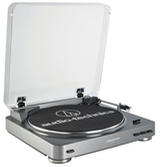 So, if you’ve got a little extra coin in your turntable budget, you could do a lot worse than the AT-LP120. 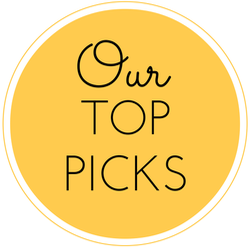 There’s really not too much to like about the Jensen JTA-230 outside of the price. I can only imagine that the $50 price tag is the singular driving force to this deck’s popularity. And truth be told, the JTA-230 may be a solid beginner deck if only to show those burgeoning vinyl fanatics exactly what they don’t want in a turntable. See? Even the cheapest decks have their charms.